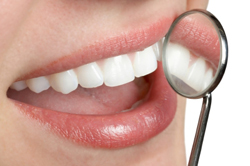 Periodontists specialize in treating periodontal related diseases. Up to an additional three years of specialized training in periodontology is achieved by periodontists. They are also highly skilled in the performance of cosmetic periodontal surgery procedures. Periodontists are experts in the placement and restoration of dental implants, which are used to help permanently restore missing teeth. Contact our Los Angeles periodontist to learn more about periodontal treatments and procedures.